It hydrates and rejuvenates all skin types. 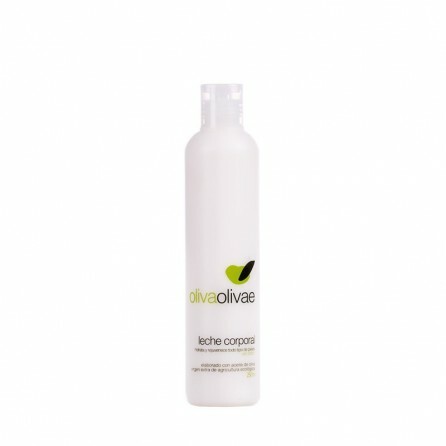 DESCRIPTION | OlivaOlivae body milk moistures and rejuvenates all skin types. A body milk for daily use that is recommended for all skin types, especially dry or sensitive skin that will recover its smoothness thanks to its natural active ingredients. Olive oil _ the combination of its fatty acids and vitamin E (which has an antioxidant effect) will keep the skin hydrated, rejuvenated, and smooth. Aloe vera _ protects and refreshes the skin from outside attack, relieving reddening and itching. Calendula _ has great moisturising powers that help to keep the driest of skins perfectly hydrated and to relieve tightness. Musk rose _ thanks to its unsaturated fatty acids it prevents and corrects signs of photoageing, moisturising and strengthening the skin. Glycerin _ keeps the skin fully moisturised to protect it from external agents. Shea butter _ is especially suitable for dry and cracked skin; it deeply nourishes and regenerates the skin to make it smooth and moist. APPLICATION | Apply directly to the body, spread, and massage.